The most dramatic moment of the recently completed Israeli election campaign [of May 1999] was not a clash between Prime Minister Benjamin Netanyahu and his main challenger, Ehud Barak. Rather, it was a TV debate in mid-April between Netanyahu and Yitzhak Mordechai, Netanyahu's own former defense minister who had quit to challenge his old boss on a minor-party ticket. In a discussion of Syria, Netanyahu declared that he would not "give [Syrian President Hafez al-] Assad what Barak is willing to give Assad." Mordechai stunned the Israeli electorate with his dramatic reply. He coldly dared Netanyahu to repeat his claim. "Look me in the eye, Bibi, ... look me in the eye," he demanded. Netanyahu did not repeat his statement. Just what was Mordechai talking about? Israeli political circles buzzed about the exchange. Then, in late May, government sources gave the Israeli press a sketchy story about back-channel talks between Jerusalem and Damascus during Netanyahu's tenure. Now, however, the full story can be told. Based on information from several sources with firsthand knowledge of the talks, it is clear that, during 1998, Netanyahu became deeply involved in a secret negotiation with Assad over the terms and conditions under which Israel would transfer the Golan Heights, taken from Syria in the 1967 Six Day War, back to Syrian control. Even more astonishing, some of those involved in the talks make the assertion--hotly disputed by Netanyahu and his supporters--that the prime minister, in contrast to both his hard-line image and his promises to supporters, was ready to make big concessions to Assad for a peace agreement from which Israel would get diplomatic recognition, trade, and other attributes of peace. The American-encouraged negotiating track between Syria and Israel had stalled when Netanyahu came to office in May 1996. Assad insisted that negotiations resume where they had left off with the previous Labor government--namely, at an agreement in principle that Israel return the Golan Heights. Netanyahu saw no reason to concede this in advance. Although both the U.S. government and Israel's Labor Party agreed with Netanyahu on this point, Assad would not budge, and diplomacy shuddered to a halt. For the next two years, Assad continued to refuse direct or official negotiations, but, in the two-month period of August to September 1998, he did agree to what one high-level Israeli calls "very intensive and very unofficial" talks. These negotiations took place completely outside any governmental framework. Rather, private American citizens went back and forth between the two countries. 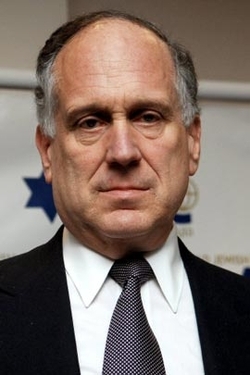 Ronald Lauder, a New York-based businessman and friend of the prime minister's, along with his aide Allen Roth, forwarded Netanyahu's ideas to Assad. 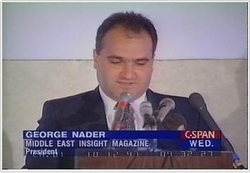 George Nader, publisher of the Washington-based Middle East Insight, presented Syrian views. While there may have been other negotiating tracks, this was the only one that Netanyahu saw as possibly leading to a breakthrough; as an aide of his puts it, this was the "most serious and credible channel" because it involved discussions with top officials in both countries. The Israeli team included Netanyahu; Mordechai; Uzi Arad, the prime minister's diplomatic adviser; and Danny Naveh, the Cabinet secretary. Others involved included Yaakov Amidror, an aide to Mordechai, and Brigadier General Shimon Shappira, military secretary to the prime minister. On the Syrian side, Assad depended primarily on Foreign Minister Faruq ash-Shar and Walid Mualem, his ambassador in Washington. Syrians and Israelis never had direct contact; instead, the talks took place in classic shuttle-diplomacy style. All told, the Americans visited Damascus nine times, meeting with Assad on each occasion, and made a similar number of trips to Israel. All the participants made great efforts to keep the negotiations secret; for example, the American go-betweens only traveled on their own plane, always stopping in Cyprus between Jerusalem and Damascus. Not even the U.S. government was informed. But, beyond these basic facts, almost everything about the talks--why they happened in the first place, which side made what concessions, and why nothing came of them--is a matter of contention among the participants. Netanyahu's critics, including some former members of his inner circle, maintain that Netanyahu started the talks for two reasons. First, he feared that the Americans would ram a deal with the Palestinians down his throat (as indeed happened at Wye in October 1998) unless he could produce a deal with Syria. Second, his government was reeling from a succession of crises, domestic and foreign, mostly of its own making. Netanyahu wanted to reestablish himself with a major, world-shaking event. Yet drama on the Egyptian, Jordanian, and Palestinian tracks had been used up; the only neighbors left were Syria and its satrapy, Lebanon. The sight of Netanyahu, the tough-talking Israeli, flying to Damascus to sign a peace treaty with an archenemy would revitalize his prime ministry. A highly favorable world reaction would be accompanied by howls of rage from Netanyahu's own coalition, which would promptly collapse. But the breakthrough with Syria would win Netanyahu a stunning endorsement at the polls and a second term as prime minister. Netanyahu's critics profess astonishment at the security price they say he was willing to pay Assad in each one of the four main areas under discussion--the extent and the timing of an Israeli withdrawal, demilitarized zones, and early warning stations. Rabin had informally agreed to hand the Golan Heights to Syria, pulling Israeli troops back to an international boundary delineated between Syria and Palestine in 1923. Shimon Peres went a step further and, in April 1995, publicly agreed to this line as the border. But neither of these Labor Party prime ministers, condemned as reckless doves by Netanyahu, ever accepted the Syrian demand that Israel go back even farther, to the lines in place on June 4, 1967, before war broke out. Although the 1967 lines give Syria only 25 additional square miles, they include land with both symbolic and hydraulic significance: were Syria to get them, it would have much greater leverage over the Banyas, Yarmuk, and Jordan rivers, as well as Lake Tiberias--or nearly half of Israel's water supplies. Sources critical of Netanyahu say he began the talks by picking up where his Labor predecessors left off: Israel would return the territory on the Golan, accepting the international border but not the cease-fire lines. Yet, faced with Assad's steadfast rejection of these terms, he capitulated and, in a stunning reversal, agreed that Israel would, indeed, return to the 1967 lines. Second, having initially demanded that the Israeli withdrawal take place over a ten- to 15-year period, he ultimately settled on 16 to 24 months. "The years kept flying by real fast," notes one Netanyahu confidant. To prevent a repetition of the surprise attack from Syria in 1973, Netanyahu demanded an extensive demilitarization of Syrian territory near the Golan and an early warning station. This was to include no fewer than three demilitarized zones in Syria: the one closest to Israel completely empty of troops, a second with only lightly armed troops, and the third with troops bearing only defensive weapons, aides say. The third of these zones would extend well beyond Damascus, a prospect that upset the Syrians more than anything else. According to the critics, Assad simply refused the suggestion, insisting that Israel would never determine how many troops he would deploy around his capital city. Netanyahu backed off on this point, too; by the end of the negotiations, a "semi-agreement" lacking specifics was reached that each side would somewhat demilitarize a single zone ten kilometers wide along its border. As for the final issue, Netanyahu demanded that Israel maintain in perpetuity a high-tech early warning station atop Mount Hermon, the 9,000-foot mountain that dominates the Syrian-Israeli border. When Assad balked at this, Netanyahu was said to have offered Assad a deal under which the two sides would share control over the warning station. No, again, Assad said--though he did agree to a U.N. team manning the station. If "United Nations" meant U.S. and French nationals, Netanyahu said, he could accept it. There the matter was left, with Israelis looking at the prospect of access only to the information that the American or French governments wished them to have. If Netanyahu was willing to give so much, why, in the end, was there no deal? His critics say it was not because he had any reservations about these terms--he was eager to sign--but because he personally lacked the credibility to make such far-reaching concessions that so starkly contradicted the principles of both his party and Cabinet. He needed a defense heavyweight to endorse the deal. During the active period of negotiations, that would have to have been Mordechai, an ex-general. Netanyahu twisted Mordechai's arm, but Mordechai would not (in his words) "jeopardize Israel's security." Mordechai's reluctance, one close observer told me, "frustrated the hell out of Bibi." So, when Ariel Sharon was appointed foreign minister on October 9, 1998, Netanyahu asked for his blessing. Sharon also balked. Lacking an endorsement from Mordechai or Sharon, Netanyahu could not go it alone. As a result, the agreement was stillborn. A Netanyahu supporter calls all of this "the opposite of the truth" and "an effort to rewrite history." The Netanyahu camp insists that his political ambitions had nothing to do with the talks. Rather, they say, Netanyahu signaled the Syrians shortly upon taking office that he wanted to talk but that he needed more security concessions than Labor had required. In 1997, he sent what an aide characterizes as a "barrage of messages" to Damascus to reinforce this point. The talks began in mid-'98, when an emissary came from Damascus to Israel saying that Assad was ready. While Netanyahu's camp concedes that he did show flexibility on the issue of a timetable for Israeli withdrawal, it insists that he took a hard line on the three other issues. According to Netanyahu and his aides, the Syrians time and again demanded that Israel accept the 1967 borders but Netanyahu said no. Until it was clear where and how the Syrian military forces would redeploy, he insisted, Israel could not commit itself to specific lines. "Never" did he agree to a borderline, an aide says. Netanyahu supporters say Assad accepted the idea of three demilitarized zones but wanted them to be less than ten kilometers wide. Netanyahu said no, and the Syrians acknowledged the need to make them wider. At that point, the talks broke off. As for a high-tech listening and watching post on Mount Hermon, Assad balked at this but did concede that Israelis would remain on the Golan Heights for some years. Netanyahu aides uniformly characterize this as "progress." Indeed, Netanyahu's supporters claim much was achieved from Israel's point of view, despite the ultimate collapse of the talks. They say Netanyahu forced Assad to improve his offer over what he had given the Labor Party on such matters; thus the talks leave his successor, Barak, in an enhanced position. There was no deal on his watch, Netanyahu told his Cabinet recently, because "Israel did not consent to Syria's territorial demands." The Netanyahu faction seems especially incensed at the claim that Netanyahu was willing to cut a deal but had to be stopped by Mordechai and Sharon. Uzi Arad, for example, says flatly that "Mordechai supported Netanyahu's position." Admittedly, he was "slow in acting but at no point opposed." As for Sharon, one participant says, he did effectively block the deal by not pursuing it--perhaps because it was not his own idea. Netanyahu's critics contend that things really ended much earlier, when Mordechai and Arad were tasked with drawing up a map to give to the Syrians but Mordechai stopped the process by never providing one. The negotiations "died because no map was produced," says a critic. For their parts, both Mordechai and Sharon have lent credence to the critics by publicly confirming their role in stopping the deal. Mordechai declared in his TV debate with Netanyahu: "More than once ... I acted as a responsible defense minister of this country and prevented what had to be prevented. You know things would have looked very different otherwise." Ha'aretz reports that Sharon "told fellow Likud members ... that he torpedoed the third-party efforts with Syria." It also quotes "government sources" saying that, when Sharon learned about the talks in September 1998, he confronted Netanyahu and said there was "not enough of a basis for Israel to put forward any withdrawal map." Other circumstantial factors seem to support the critics' case. For all its emphatic certainty, the Netanyahu camp has seemed inconsistent and devious ever since Mordechai's "look me in the eye" challenge. For example, right after that dramatic confrontation, a senior official at the prime minister's office announced that "Mordechai does not know anything about" the talks between Jerusalem and Damascus--a clearly preposterous claim that even other pro-Netanyahu types have contradicted. One of them told me, for example, that Mordechai was "in the picture throughout." And, while Netanyahu called Sharon's claim to have "torpedoed" the talks "nonsense" and "a false charge," the only support he offered for this statement was the legalistic and irrelevant point that Sharon "was appointed foreign minister only after the secret contacts ended." Netanyahu's argument also begs the question: If the prime minister was not doing anything contrary to his own party platform, why does he now claim to have kept the negotiations a complete secret from even his defense and foreign ministers? Anyone who has followed Netanyahu's career will instantly recognize in this episode the man's well-established pattern of speaking loudly but carrying a small stick. For example, Netanyahu's trademark issue throughout his career was a policy of tough antiterrorism--he founded an institute dedicated to this goal, wrote a book on the topic, and made it the subject of innumerable public appearances. But, when the U.S. government offered to extradite to Israel a suspected Hamas terrorist, Musa Abu Marzook, Netanyahu took a bye (seemingly scared of the trouble this would cause). Abu Marzook now lives as a free man and a high Hamas official in Amman, Jordan. Thus does the evidence point heavily to the unhappy likelihood that Netanyahu's version is not true. More precisely, he appears to be boasting of his earlier, tougher positions with the Syrians but hiding the concessions he made as the talks went on. In fact, Netanyahu gave more to the Syrians than did either of the predecessors he so deeply scorns, Yitzhak Rabin and Shimon Peres. And, judging by new reports coming out of Israel, he also gave away more than Barak would. This extraordinary episode reveals nothing new about the Syrian side, which merely confirmed its well-established pattern, going back 25 years, of attempting to draw maximum leverage from a position of weakness. As in the past, Assad gave the absolute minimum in negotiations and doled out concessions in the slowest and most incremental manner. But the story of the secret Netanyahu-Assad channel has important implications in two areas: Israeli politics and the future of Syrian-Israeli relations. The negotiations reveal that Netanyahu is a leader who would do almost anything for power. And, if Assad now demands that Barak start where Netanyahu left off, Netanyahu's having discussed vast concessions to Damascus will weaken the negotiating position of his successor. Advantage, Syria. As one who had first-hand experience with Benjamin Netanyahu's contacts with Syria, and who as Cabinet Secretary personally took part in these proceedings, I wish to correct several points made by Mr. Daniel Pipes ("The Road to Damascus," July 5). Contrary to the assertion in the article, Prime Minister Netanyahu never agreed to an Israeli withdrawal to the June 4, 1967 lines. No agreement was reached between Jerusalem and Damascus, first and foremost because Mr. Netanyahu refused to present the Syrians with a map that would indicate an Israeli withdrawal to the June 4, 1967 lines. Furthermore, no timetable was established for an Israeli withdrawal in the Golan Heights, if and when an agreement is reached. On the subject of demilitarized zones and zones with limitations on forces and weapons some progress was made, but here too, no final arrangement was reached. Contrary to another assertion in the article, there was no Israeli consent to a demilitarized zone of only 10 kilometers in width. In fact, Mr. Netanyahu insisted on much wider demilitarized zones and wider zones with limitations on forces and weapons. In light of the Prime Minister's rejection of the June 4, 1967 lines, the Syrians declined to present a map outlining their demilitarized zones and zones with limitations on forces and weapons. On the matter of early-warning stations, real progress was made. Contrary to their previous position, the Syrians showed a willingness to refrain from the immediate demolition of the early-warning stations, primarily of the Hermon station. They agreed that the stations would be operated by American and French international forces, and gave their tacit consent to an Israeli team that would operate the installations under an American aegis. It was Mr. Netanyahu's refusal to accept the Syrian diktat to withdraw to the 1967 lines, as well as the Syrian refusal to delineate satisfactory demilitarized and force separation zones, that prevented an Israel-Syria agreement. First, Danny Naveh disputes only a few details in my article - by implication confirming my general account about the Lauder-Nader shuttle diplomacy (including the fact of his being one of the twelve individuals directly involved). Second, Mr. Naveh's argument (that no agreement was reached because Mr. Netanyahu stood firmly by his principles) reiterates what I portrayed as one side of a debate, down to the specifics about the map, the timetable, and so on. Ultimately, though, I found the other side more persuasive, the one that says Mr. Netanyahu capitulated on nearly every issue but was prevented from signing when his defense minister (Yitzhak Mordechai) and his foreign minister (Ariel Sharon) refused to endorse his terms. Third, how does anyone outside the circle of twelve participants make up his mind which side to believe? It boils down to one's assessment of Benjamin Netanyahu. Mr. Naveh and those who defend the former prime minister present him as a man of character and principle. The other side portrays him as an self-interested egomaniac. For anyone with even the slightest knowledge of Israeli politics, this choice is a no-brainer, for if Left and Right in that country agree on one thing, they concur on Mr. Netanyahu being a tricky and opportunistic politician – and the May election results suggest this view is very widely shared. Fourth, if Mr. Naveh is saying that Netanyahu acted out of character and did stand on principle when dealing with Damascus, I challenge him to explain the following: In an April television debate with Mordechai, Netanyahu said he would not "give [Syrian President Hafez al-] Assad what [then-Labor leader Ehud] Barak is willing to give Assad." To this, Mordechai retorted, "Look me in the eye, Bibi, ... look me in the eye," and then dared him to repeat his words (which Netanyahu did not do.) My question for Mr. Naveh: What was Mordechai doing if not signaling that Netanyahu was willing to give the store away? Apr. 13, 2001 update: For updates on this topic, see "What Was Binyamin Netanyahu Ready to Concede on the Golan Heights?" Jan. 8, 2004 update: I admire a statement on Syria ("Israel should not have to be the only one making concessions for a peace agreement") by Netanyahu, currently Israel's finance minister at "A New Netanyahu vis-à-vis Syria?" Aug. 6, 2004 update: In his memoir, Dennis Ross picks up on the Lauder-Nader negotiations in August 1999, just after my history left off. I stitch together his first-hand account in "Strange Twists in Syrian-Israeli Diplomacy." Oct. 14, 2012 update: I consider current speculations on the topic of Israel-Syria negotiations at "Netanyahu Again Offers the Golan Heights to Syria?" Related Topics: Arab-Israel conflict & diplomacy, Israel & Zionism, Syria | Daniel Pipes receive the latest by email: subscribe to the free mef mailing list This text may be reposted or forwarded so long as it is presented as an integral whole with complete and accurate information provided about its author, date, place of publication, and original URL.